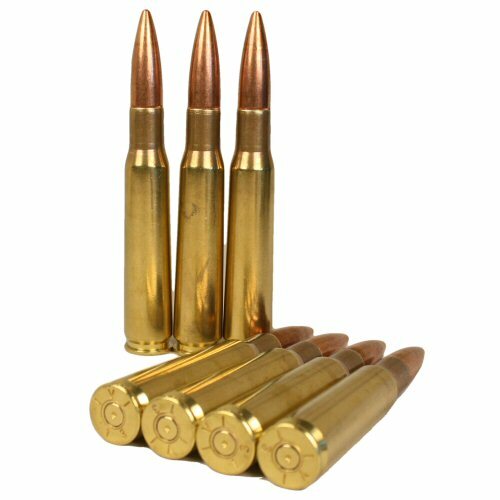 An inert and fully deactivated cartridge or round in 12.7x99 Nato, also known as 50 BMG calibre consisting of a modern brass case, fired and indented primer and modern FMJ bullet head. Cases are marked IVI 13, indicating Canadian manufacture. 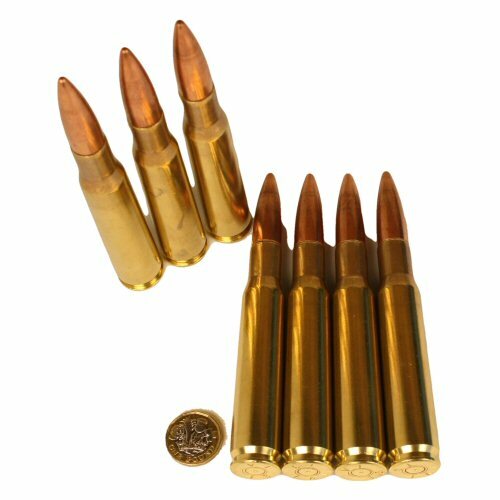 Developed as an anti-air and anti-materiel round, this is known for its extreme range in a small arms package. Overall measurement 139mm x 20mm. Please note, these inert cartridges are shipped with no powder and fired primers (indented). Warning, attempts to illegally re-activate will result in personal injury! 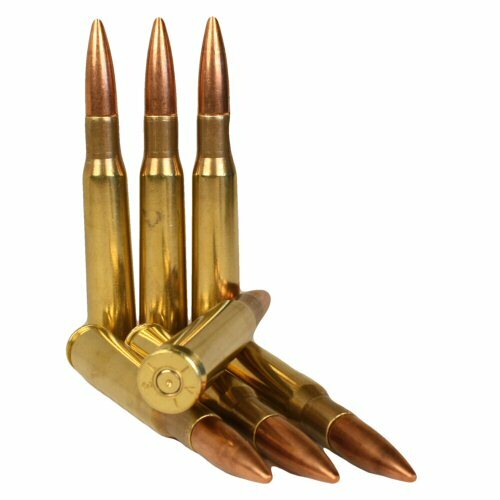 These are great for displaying and and we do not recommend attempting to put any inert rounds into any firearms. Price is for one inert round only. Inert rounds shipped outside the UK may only be shipped by courier (eg UPS) due to civil aviation authority controls. Coin shown for size comparison only. A view of the headstamps. The round compared in size to a coin.